In the last few centuries, scholars proclaimed there was no evidence for most events in the Biblical account, and it was nothing but a collection of Hebrew legends. Then, a massive amount of evidence emerged through the findings of archaeologists, such as the discovery of the Hittite civilization, which vindicated much in the Bible that had been touted as fictitious. But, then the cry went forth that the Hebrews “borrowed” or “copied” stories from the peoples around them. So much has been shrouded in confusion brought about by “explaining away” evidences which absolutely vindicate the Biblical account in a manner which makes it appear that the original incident occurred at an earlier date, and therefore the Hebrews incorporated the tale into their “mythology”. A good example of this is the evidence found at Jericho. In the 1930s, Professor John Garstang excavated Jericho. In 1931, he found the cemetery that had been in use by the inhabitants of Jericho from the earliest times. Because it had been so well concealed by the sand of the plain, it had escaped the plundering that so often occurs. Carefully excavating through the various levels, in 1932 they made a discovery which absolutely confirmed the Biblical account. Sir Marston goes on to explain about an earlier discovery that confirmed this discovery: “The date supplied us by the Jericho excavations throws a flood of light upon an old archaeological find.” (Ibid., p. 210.) And he goes on to discuss the “Tel el Amarna letters” discovered in 1887 which consist of well over 300 tablets of correspondences between Egypt and it’s vassal states in Palestine and Syria. They tell a story of unrest in those regions, and attacks. “But of more concern to us, are those tablets which refer to the simultaneous invasion from the east of the Jordan by a people called the Habiru.” (Ibid., p. 211). The letters are addressed to the last pharaoh whose cartouche was found on scarabs at Jericho, and to his son, whose name is completely absent from the Jericho scarabs. The wonderful evidences God has provided in the last hundred or so years provide not only solid evidence of the complete reliability of the Bible, but they also give us insights into things which we no longer understand as did those who lived in those ancient times. Have you ever heard the phrase “rule of thumb”? It’s a common phrase, but do you know where it came from? Get ready for a shock if you don’t know the answer. It comes from old U.S. laws which provide that a husband can beat his wife with a stick no bigger around than his thumb. It was termed “the rule of thumb” and long after the law was abolished, the phrase continued as a “figure of speech”. But would it make sense to someone who lived in another country, spoke a different language, and wasn’t familiar with our colloquialisms? The Bible was written by men inspired by the Holy Spirit, but they wrote in the manner of their everyday “speaking”, as opposed to our manner of speech today. And all people develop “colloquialisms” or phrases or “slang” terms. For example, the first well-known copying machines were made by Xerox, so we know what is meant when someone tells us to “make a Xerox” of a document. This is a “figure of speech”; a word, sentence or phrase which is “figurative” in that it’s meaning differs from the literal translation. Some “figures of speech” are common to many languages while some are unique to one particular language. Also, some change “with the times”, while others are passed on. Obviously, the pilgrims didn’t know what a “xerox copy” was. Some of the “phrases” or “figures of speech” are a sort of “spoken shorthand”. Take the term, “field hand” or “ranch hand”, used when referring to those who work in the fields or on a ranch. This goes back to Biblical antiquity, where the “hand” is used to represent the work or deed performed by the person. Hence, the “field hand” works in the field and the “ranch hand” performs the work at a ranch. The people didn’t literally “have” Moses and all the prophets there with them- they had the Divinely inspired writings of Moses and the prophets. Then, there are “idioms” of which the phrase “three days and three nights” is an example. The Hebrew idiom “three days and three nights” means simply “a period of time that covers parts of 3 days”. It may begin the last 5 hours of the 1st day, then include all 24 of the 2nd, and end after 4 hours into the 3rd day. But if we interpret it according to OUR manner of speaking today, we think it must mean 3 complete day cycles of 24 hours each. Yet, this is just how the Hebrews reckoned “days”. The literal interpretation of this above verse is that Esther, her maidens and all the Jews were to fast for 3 complete days and nights, or 72 hours, and THEN she would “go in unto the king”. Yet, we learn that she appeared before the king “on the third day” in chapter 5 verse 1. ANY time during the third day would be less than 72 hours and hence she and her maidens did NOT fast for 3 days and 3 nights. PSA 78:2 I will open my mouth in a parable: I will utter dark sayings of old. And though the Bible is literal in much that is written, much is written in “figurative” language. Like Christ’s parables, great Truths are expressed in terms that are simply not literal, but make it absolutely clear what is meant. Just as we earlier discussed the origin of our term “ranch hand” or “field hand”, we find hundreds of Biblical instances which are similar. For example, the words ” head” and “forehead” are used in this verse: JER 3:3:… and thou hadst a whore’s forehead, thou refusedst to be ashamed. This admonition to Israel meant that the people were unfaithful to God and had absolutely no remorse for their wrongful actions. The word “forehead” here implies the innermost conscience of the person, which is centered in the brain behind the forehead- who they really are; their morals; their character. The “whore” had no shame- she fully assented to her actions, unlike someone who may be forced to perform the same actions but does so against her will. Understanding these concepts gives insight into the ever popular “mark of the beast” which is received either on the “hand” or on the “forehead”. The implication, as we now understand it, is that this “mark” is NOT a literal visible “mark”, but instead an “action”. Received on the “hand” means the action is “performed” but does not necessarily mean that the person believes it to be the right thing to do. Received on the “forehead” implies that the action is performed without any regret or remorse; like the “whore” who was without shame, the person performing the action is in full agreement with the act. Satan’s “mark” is received by doing the “action” whether the person believes it to be right or not. They may even KNOW it to be wrong and do it because they are compelled by threat of bodily harm or loss of property, etc. But God’s mark, or “seal” is only received by those who perform the action out of faithfulness to God- they KNOW it is right and why. The “seal of God” and the “mark of the beast” are actions which, when performed, separate the people who are loyal to God from those who are loyal to Satan, or the “beast”. Those who are loyal to Satan receive his mark by either fully accepting the principle behind the action and performing it (“in the forehead”), or by simply performing the action EVEN though they may know it to be wrong to do so (“on the hand”). The people of God, however, receive His mark only one way- by their complete belief in the action. No one receives God’s seal on their “hand”. We have continued extensive research on this subject and obtained some new data which indicates that the site of the crossing of the Red Sea was actually broader and shallower than earlier data indicated. New interest in the Gulf of Aqaba has been generated due to the new cooperation between Jordan, Egypt and Israel in promoting tourism in the region. (The gulf is bound by Egypt on the west, Israel and Jordan on the north, and Saudi Arabia on the east.) Concerns about environmental safety have resulted in the formation of Israel’s “Environment Ministry” which is drawing up a regional contingency plan in case of an oil spill, which would be completely disastrous to the this gulf. The Exxon Valdez spill off Alaska measured 45,000 tons- it would only take a 2,000 ton slick to wipe out the natural beauty of the Gulf of Aqaba coast, according to their estimates. 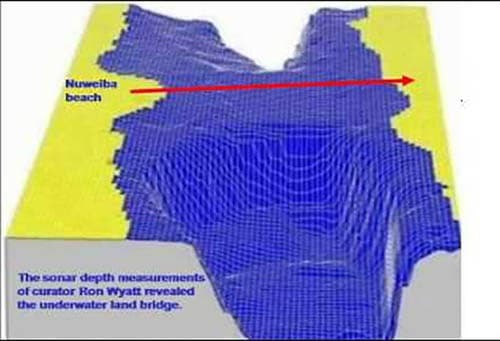 What it DOES show is a swatch of sea floor from Nuweiba across to the Saudi shore, which is about 300 to 320 feet deep at the deepest point. This swatch of sea floor is roughly between 7 and 10 miles wide. On either side, large cracks in the earth extend down to almost 3,000 feet to the north, and 5,000 to the south. This new information is quite exciting, because it shows a consistent pathway across the gulf to the other shore that, with the water removed, could have easily been traveled. When the digital data was fed to a topographical mapping program, it revealed a 3-D model of the sea floor in the Gulf. Because a 300 foot depth would not show up at all on a map covering this large number of square miles, it has been enhanced to exaggerate the features for purposes of demonstration. The depths are in ratio. That digital model can be seen below. For many years, the subject of “Mt. Sinai”- (Jebel el Lawz in NW Saudi Arabia) has been one of utmost concern for Ron. It has been perhaps the greatest frustration he has ever faced, knowing what was there but being unable to get the documentation. In 1984, he and his sons were imprisoned after entering Saudi illegally and going to the mountain- charged with being Israeli spies. Then, in 1985, he was allowed to go to the site legally and investigate it with relative ease, but had all documentation confiscated before he left the country. Although he was promised they would be returned when he came back and completed the excavation of the site, he has been denied all requests to do so. Finally, several years ago, by no less than a series of miracles, complete documentation of not only the mountain, but of the entire area around it was provided to us. Most of you know the story from our earlier newsletter on the subject, which is also in our “Discoveries Volume”. The evidences are mind-boggling, and research on the history of the area is extremely limited. Until the last several years, it was next to impossible to get good maps of the area, but now we can even get detailed satellite imagery. We have spent many hundreds of hours studying the photos and videos, and have tried to “compact” the basic mass of information into a single report that covers the major points. I believe this issue will make the subject clear; we’ve tried to include as many photos as possible, some with diagrams to point out features. The basic problem is that there is nothing but rocks out there, and it’s difficult to distinguish some features up close- but in the photos taken at a distance, they are clearly distinguished. We hope you find this report informative. And as exciting as we do! Ron’s theory that Midian and Mt. Sinai were in northwestern Saudi Arabia was not “all that farfetched”, as Rene Noorbergen wrote in “Treasures of the Lost Races”. Down through the ages, the location of Midian as being in Arabia has been recognized by numerous writers and scholars. 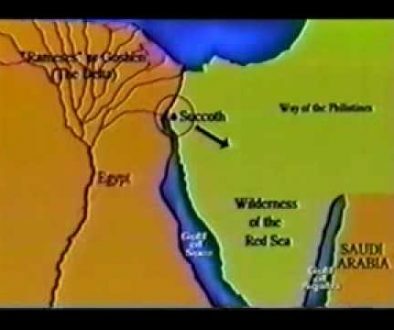 “…The Biblical references connecting Sinai with Mount Seir, Edom and the land of Midian seem clearly to indicate this region east of the Aelanitic Gulf (Gulf of Akaba) as pointed out by Beke (1834), Walllhausen (1886), Sayce (1894), Moore (1895), Shede (1897), Gall (1898), Gunkel (1903), Edward Meyer (1906), Schmidt (1908), Gressmann (1913), Haupt (1914) and by Alois Musil in â€˜The Northern Hegaz’ (1911).” (“On the Track of the Exodus” by C. C. Robertson, Artisan Sales, Thousand Oaks, Calif., 1990, p. 87). EXO 3:1 Now Moses kept the flock of Jethro his father in law, the priest of Midian: and he led the flock to the backside of the desert, and came to the mountain of God, even to Horeb. 2 And the angel of the LORD appeared unto him in a flame of fire out of the midst of a bush: and he looked, and, behold, the bush burned with fire, and the bush was not consumed… 12 And he said, Certainly I will be with thee; and this shall be a token unto thee, that I have sent thee: When thou hast brought forth the people out of Egypt, ye shall serve God upon this mountain. When Ron was at Jebel el Lawz in 1985, he learned first-hand of the traditions among the inhabitants of the region which placed Jethro (Moses’ father-in-law) in northwestern Saudi Arabia. Numerous other visitors to the area also have been told of the legends about Jethro and his family living around Al-Bad, which is located southwest of Jebel el Lawz, about 10 miles from the Gulf of Aqaba. I could go on and on with references that support the traditions of Jethro and Moses in the region, but tradition is limited in its usefulness. The Jews, the Arabs, and the Christians all had different traditions as to where Noah’s Ark came to rest. The proof comes from the evidence. And there is NO doubt that Jebel el Lawz is the site of the Holy Mountain, Mt. Sinai. The evidence Ron saw at the mountain is overwhelming enough, but the other evidence in the region fits the Biblical account precisely. With the discovery of Mt. Sinai, there remained one question–what route did they take from the sea to the mountain? At first glance, it seemed an easy answer because there is a large wadi (or canyon)- Wadi al Hasha- which leads from the large shore on the Arabian side directly to the large wadi which circles around and leads right into the main area of the Jebel el Lawz range. Then, when Rephidim, the last encampment before going to Mt. Sinai, was located, it too was in a straight line with the wadi leading from the sea. But there was one verse which indicated that the multitude had NOT gone directly to the mountain- Numbers 33:10 says that they left Elim, the 2nd stop mentioned after crossing the Red Sea, and THEN “encamped by the Red Sea”. Ron had asked our friends in Saudi Arabia, who had filmed the mountain for us, if they would “scout out” the entire region. They returned to the region many, many times and provided us with wonderful footage of their journeys, including their travels in the wadis. From their journeys and our maps, we had precise information about the region and finally believe we have been able to trace their journey, at least on a broad scale. NUM 33:9 And they removed from Marah, and came unto Elim: and in Elim were twelve fountains of water, and threescore and ten palm trees; and they pitched there. NUM 33:10 And they removed from Elim, and encamped by the Red sea. For a long time, I puzzled over this- did it mean the great multitude traveled awhile, then went back to the same shore of the Red Sea? That doesn’t seem likely. Instead, it indicates that they traveled either north or south, then ended up at the sea shore, although at a different location. If they went north, they would be leaving the area of the Jebel el Lawz range. But they could have gone south and still remained in the general vicinity. 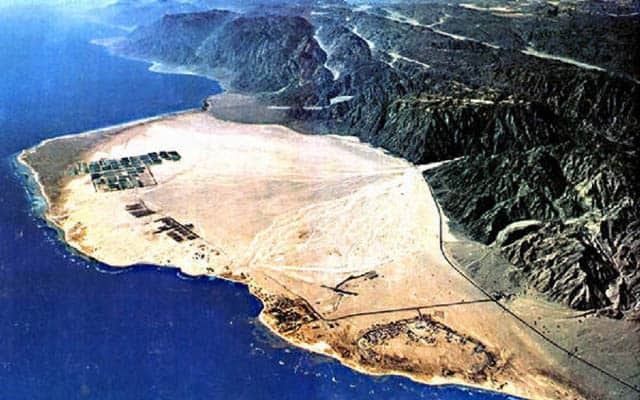 Although the Arabian shore at the crossing site is even larger than the beach at Nuweiba on the Egyptian side, it too is completely blocked to the south by mountains which extend out to the sea. These mountains continue along the shore for over 15 miles to the south. Then, open-shore again appears. And within these mountains are several wadis which extend through them in a north/south direction, beginning at the shore where the crossing took place and ending at the wadi to the south which again leads to the sea. There are 2 north/south wadis in this range that are large enough to be traveled. They both end to the south where they meet with an east/west wadi. And where these 3 wadis intersect, there is an extremely large oasis with hundreds of palm trees, and 12 wells of water. The oasis is so large that it extends all the way across the width of the wadi. The wells are randomly located and today still provide water. They have recently been walled up with concrete sides. We have no doubt that this is the Biblical “Elim”. The 70 palm trees have proliferated and there are now hundreds of their descendants thriving in this extremely desolate and arid region. It was now clear what path Moses and the multitude had taken. When they left the sea after the crossing, they did NOT take the direct route which would have led them directly to Rephidim- they instead took a wadi which turned SOUTH and went THROUGH the mountains that lined the shore. The question is WHY? Why Didn’t They Take the Direct Route? Though they were now free of any danger from the Philistines, there was another danger- the Amalekites. This fierce, warring people were the descendants of Esau’s grandson, Amalek. Had the people of Israel taken the main wadi, they would have soon been in an open plain, completely vulnerable on all sides. By taking them through the mountains in a southerly direction, I believe God was shielding them from this enemy. At least for a while. They replenish their water supplies at Elim and then “encamped by the Red Sea”, just a few miles to the west. When they again resumed their travels, they headed east, along another east/west wadi until they come to the main north/south wadi, Wadi Afal. Elim was located in a wadi which led to the east, but I believe they took the wadi below it, on the south side of the mountains that extend west to east (see the map. )The main part of Wadi Afal is in the open plain, but by taking the wadi south of Elim when they traveled west to the Wadi Afal, they were shielded to the north by 2 long mountain arms which “shoot” across the open plain, meeting the wadi on each side. One mountains extends from the Wadi Afal to the sea; the other is a long arm of the Jebel el Lawz range which extends westward from the Holy Mountain to the Wadi Afal. And south of this passage where the 2 mountains met, they were relatively safe from invading forces. 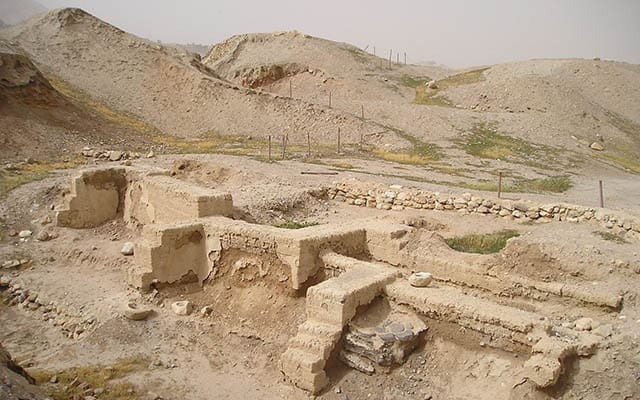 The Biblical account tells that they made 2 encampments before reaching Rephidim- Dophkah and Alush. The only clues we have to these locations come from the definitions of the words. Dophkah means “cattle driving” and this could well apply to the fact that many years earlier, Moses had led his flocks along the Wadi Afal from his home with Jethro at present-day Al-Bad to Mt. Sinai, where he heard the Lord speak to him in the burning bush. “…From here my guide and I climbed up the cliff to visit the â€˜circles’ of Jethro on the summit of Musalla ridge, from which we climbed down quite easily to our camp on the far side…. A cairn marked the spot where Jethro is supposed to have prayed, and all around it are numerous circles,… From here I had a magnificent view of the whole of the Midian mountain range, with Lauz [Jebel el Lawz] and its sister peaks in the northeast…” “The Land of Midian”, by H. St. John Philby, Ernest Bean Limited, London, p.222. Al-Bad is the only large oasis in the NW Arabian plain near Jebel el Lawz- we firmly believe this was his home, and the home of Moses after he left Egypt. Dophkah and Alush were located between the encampment on the Red Sea and Rephidim, but we may never know their exact location as no information is given. We do know that they did not travel to Al-Bad, for later we learn that Jethro comes to meet Moses at Rephidim, bringing his family to him. I mention this because some people are of the opinion that Al-Bad was Elim. After they traveled the Wadi Afal and passed between the mountains into the open plain, they immediately turned east into the foothills of the western side of Jebel el Lawz, where they soon reached Rephidim. They were now in an area of rugged hills, with the majestic range of Horeb blocking the east. But all that separated them from the open plain on the west were the foothills and hopes that they had arrived undetected. It was at Rephidim that once again the people had become very angry at Moses because of the lack of any water source in the region. EXO 17:4 And Moses cried unto the LORD, saying, What shall I do unto this people? they be almost ready to stone me. 5 And the LORD said unto Moses, Go on before the people, and take with thee of the elders of Israel; and thy rod, wherewith thou smotest the river, take in thine hand, and go. 6 Behold, I will stand before thee there upon the rock in Horeb; and thou shalt smite the rock, and there shall come water out of it, that the people may drink. And Moses did so in the sight of the elders of Israel. EXO 19:2 For they were departed from Rephidim, and were come to the desert of Sinai, and had pitched in the wilderness; and there Israel camped before the mount. Any difficulty one may have in understanding how they could be at Horeb while they were at Rephidim disappears when we again look at the map- Rephidim is on the WEST side of Mt. Sinai, while the encampment was on the EAST side. The photo below was taken from a vantage point of about half the way up the WEST side of Mt. Sinai. This “rock” IS at Mt. Sinai, or Horeb. It’s just on the opposite side of the range from the later encampment. When viewed from just below, it is quite evident that a tremendous amount of water flowed from between the large crack. See the photo below which is a close-up of the lower portion of the split and the rock just below it. The smooth, water-eroded section can be seen. Just beneath, is a channel cut into the rock from the water flow. This is positive evidence that a tremendous amount of water came out here, not just a trickling stream. PSA 78:15 He clave the rocks in the wilderness, and gave them drink as out of the great depths. 16 He brought streams also out of the rock, and caused waters to run down like rivers. In the photo (below) of the ground directly beneath the giant rock, we can see one of the channels cut into the earth where the water flowed down and out into the plain. Notice the large boulder setting astride the channel- we have seen a similar situation at Kadesh Barnea. At Kadesh, Moses also struck the rock and water flowed out from a large hole high in a mountain range. There is a very large channel cut much deeper into the rock in the mountainside, and in this deep channel a very large boulder was placed which appears to have been shaped to fit into the channel. The only logical reason for placing these stones could have been to slow or control the water flow. Did the water cut the channel into the earth, or did they dig the channel? We can’t say, but it’s possible that they dug several trenches to direct the flow. Either way, there is no doubt that several large streams of water flowed out into this plain a long time ago–streams that left their indelible mark on the rocks and on the earth. DEU 25:17 Remember what Amalekites did unto thee by the way, when ye were come forth out of Egypt; 18 How he met thee by the way, and smote the hindmost of thee, even all that were feeble behind thee, when thou wast faint and weary; and he feared not God. EXO 17:9 And Moses said unto Joshua, Choose us out men, and go out, fight with Amalekites: to morrow I will stand on the top of the hill with the rod of God in mine hand. 10 So Joshua did as Moses had said to him, and fought with Amalekites: and Moses, Aaron, and Hur went up to the top of the hill. 11 And it came to pass, when Moses held up his hand, that Israel prevailed: and when he let down his hand, Amalekites prevailed. 12 But Moses hands were heavy; and they took a stone, and put it under him, and he sat thereon; and Aaron and Hur stayed up his hands, the one on the one side, and the other on the other side; and his hands were steady until the going down of the sun. 13 And Joshua discomfited Amalekites and his people with the edge of the sword. ACT 10:34 Then Peter opened his mouth, and said, Of a truth I perceive that God is no respecter of persons: 35 But in every nation he that feareth him, and worketh righteousness, is accepted with him. HEB 3:15 While it is said, To day if ye will hear his voice, harden not your hearts, as in the provocation. 16 For some, when they had heard, did provoke: howbeit not all that came out of Egypt by Moses. 17 But with whom was he grieved forty years? was it not with them that had sinned, whose carcases fell in the wilderness? 18 And to whom sware he that they should not enter into his rest, but to them that believed not? With the defeat of Amalekites at Rephidim, Moses built an altar and called it “Jehovahnissi”, which means “Jehovah is my banner”. This altar is located just a few hundred yards from the “rock at Horeb”. We can only estimate its size based on our video footage, but it appears to be between 20 and 25 feet long and perhaps 15 feet deep. Its height is 3 to 4 feet. We hope to get the exact measurements one day if our friends can safely return. EXO 17:16 For he said, Because the LORD hath sworn that the LORD will have war with Amalekites from generation to generation. There is no doubt in our minds that the structure in the photo at left is the altar Moses called “Jehovahnissi”. There is a great amount of ancient remains in the area, but this is the only structure that is solid throughout, and that is rectangular in shape. The Amalek continued their fierce attacks against Israel for many hundreds of years. 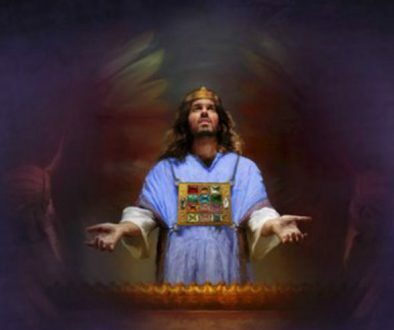 Finally, David seems to have broken them as a great power, although the last remnants were finally destroyed by Simeon during the reign of Hezekiah, about 700 years later. All throughout the region of Rephidim there are hundreds, perhaps thousands (we haven’t counted) of ancient stone circles which are called “hut circles”. No one knows exactly how they were used, but the evidence indicates that they were employed as sleeping quarters for a single family. A larger stone was placed in the middle; then cloth or covering of some type was placed over this stone forming a tent. The smaller stones which form the circle were then placed along the edge of the covering where it met the ground. This provided protection to the family while they slept from the wild animals, as well as their own flocks. They were quick and easy to make–just gather the rocks, which were plentiful. EXO 18:1 When Jethro, the priest of Midian, Moses’ father in law, heard of all that God had done for Moses, and for Israel his people, and that the LORD had brought Israel out of Egypt; 2 Then Jethro, Moses’ father in law, took Zipporah, Moses’ wife, after he had sent her back, 3 And her two sons; of which the name of the one was Gershom; for he said, I have been an alien in a strange land: 4 And the name of the other was Eliezer; for the God of my father, said he, was mine help, and delivered me from the sword of Pharaoh: 5 And Jethro, Moses’ father in law, came with his sons and his wife unto Moses into the wilderness, where he encamped at the mount of God: 6 And he said unto Moses, I thy father in law Jethro am come unto thee, and thy wife, and her two sons with her. 7 And Moses went out to meet his father in law, and did obeisance, and kissed him; and they asked each other of their welfare; and they came into the tent. 8 And Moses told his father in law all that the LORD had done unto Pharaoh and to the Egyptians for Israel’s sake, and all the travail that had come upon them by the way, and how the LORD delivered them. There are several things to note in the above passage- first, Jethro went to see Moses at “the mount of God”. Yet, he was still at Rephidim. This confirms the fact that Rephidim at the foot of Mt. Sinai, albeit on the western side, whereas the later encampment, where God gave the Ten Commandments and the Sanctuary was built, was on the eastern side. The second point is the fact that they went into Moses’ tent- this confirms the presence of tents and the “hut circles”, which are consistent with temporary camp-sites. Though they were at the foot of Mt. Sinai while at Rephidim, they had a long journey to reach the camp which would become their home for almost a year. Leaving Rephidim, they traveled west, back to the Wadi Afal where they then turned north. They then turned east and followed the Wadi al Suraym until it met the Wadi Abyad. Taking Wadi Abyad, they followed it south until it curved back to the west, leading them directly to the highest peak of Mt. Sinai. This was the first thing Moses was to undertake- the building of the “bounds”. In 1985, when Ron had seen a number of 18 foot diameter round columns with only a few inches extending above ground level, he had concluded that these were the bounds, and that dirt and debris had settled around and over them over the years. We discussed these in our earlier newsletter on Mt. Sinai, and how they are constructed with 2 walls, with smaller rocks used to fill in between the 2 walls. 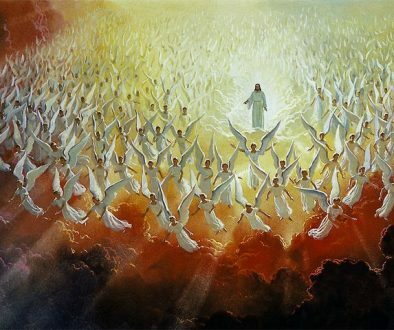 EXO 19:21 And the LORD said unto Moses, Go down, charge the people, lest they break through unto the LORD to gaze, and many of them perish. 22 And let the priests also, which come near to the LORD, sanctify themselves, lest the LORD break forth upon them. 23 And Moses said unto the LORD, The people cannot come up to mount Sinai: for thou chargedst us, saying, Set bounds about the mount, and sanctify it. 24 And the LORD said unto him, Away, get thee down, and thou shalt come up, thou, and Aaron with thee: but let not the priests and the people break through to come up unto the LORD, lest he break forth upon them. 25 So Moses went down unto the people, and spake unto them. After hundreds of hours of studying the photos and videos, we’ve found new evidence concerning the “bounds” and the columns which, to me, is very exciting. But we need to get an overview of the subject first. With that in mind, we will skip ahead and go on to the other features found at the site and the Biblical account. The evidence and the area is very large and it’s necessary to understand the main features before we discuss these subjects. Then, God, Himself, spoke His great eternal Law, the Ten Commandments. EXO 20:18 And all the people saw the thunderings, and the lightnings, and the noise of the trumpet, and the mountain smoking: and when the people saw it, they removed, and stood afar off. 19 And they said unto Moses, Speak thou with us, and we will hear: but let not God speak with us, lest we die. 20 And Moses said unto the people, Fear not: for God is come to prove you, and that his fear may be before your faces, that ye sin not. When standing at the foot of the mountain on the east side, looking west, the very top of the peak is blackened. Over 1,400 years later, Paul wrote: For our God is a consuming fire. (Hebrews 12:29). DEU 4:11 … and the mountain burned with fire unto the midst of heaven, with darkness, clouds, and thick darkness. When the Presence of the Lord came down upon Mt. Sinai, it charred the top of the mountain. I don’t believe there is any other explanation. 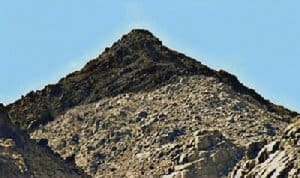 After many tries, our Saudi friends finally succeeded in climbing to the very top of Jebel el Lawz and provided us with wonderful photos and video of the incredible scene. To me, this is one of the most spectacular and Holy spots on the face of the earth- the very place where the Presence of God rested, and spoke the Ten Commandments. “…The main peak of Lauz, partly in cloud, rose to the south-east of our position…. on which there seemed to be a patch of snow. The guide confirmed that it was snow: and if so, it was the first and only time I have ever seen snow in Sa’udi Arabia…”. ibid. To my knowledge, our friends’ photos are probably the only ones ever taken from the top of this mountain, and they may well be the only people who have ever climbed to the top, at least in the last few hundred years. EXO 20:24 An altar of earth thou shalt make unto me, and shalt sacrifice thereon thy burnt offerings, and thy peace offerings, thy sheep, and thine oxen: in all places where I record my name I will come unto thee, and I will bless thee. 25 And if thou wilt make me an altar of stone, thou shalt not build it of hewn stone: for if thou lift up thy tool upon it, thou hast polluted it. 26 Neither shalt thou go up by steps unto mine altar, that thy nakedness be not discovered thereon. EXO 24:4 And Moses wrote all the words of the LORD, and rose up early in the morning, and builded an altar under the hill, and twelve pillars, according to the twelve tribes of Israel. The altar is located directly beneath, or “under” the high peak of Sinai. After Ron’s 1985 visit to the site, the entire area at the foot of the mountain was fenced in, a guard house built and a sign designating it as an off-limits archaeological site was erected. On one of their first trips there, our friends were allowed by the men guarding the site to go into the fenced-in area and look around. They actually stood upon the altar without realizing what it was. However, the bedouins who allowed them in, took their cameras while they were inside. The only photos we have are those made from the plateau above looking down, and those taken from the fence. The best ones are those taken from above. As can be seen, the entire structure is “L” shaped. The altar is the lower “L”, which is of solid rock construction. The upper “L” consists of walls with what appears to be 2 entrance-ways into it. The altar is about 40 to 45 inches high, between 50 and 60 feet long and roughly 25 to 30 feet wide. The “corral” is of an equivalent size, with its walls being a little over 3 feet thick. These measurements are rough estimates, based on Ron’s recollections, our friends’ (who examined it recently) estimates, and the known diameter and length of the broken pieces of marble columns around the altar, which we’ll discuss later. Of course, the altar and “corral” aren’t in perfect shape- the intervening 3,400+ years have taken their toll on the remains, which are a bit crumbled. The entrance ways into the “corral” are what initially led us to believe it was foundation for a tent, such as the first tabernacle. But now that we have access to better photos, it can be seen that the upper “L” section contains walls that are about the same height as the altar, which then led to our conclusion that it wasn’t a foundation. We then concluded that it was perhaps a “corral” for the sacrificial animals. The fact that it had a dividing wall down the lengthwise center of the “L” contributed to our theory that it was a pen for the animals, and that the sheep were on one side while the oxen or bullocks were on the other. What was the purpose of the “corral”? Could it have been divided into 2 sections to separate the animals about to be sacrificed? At first, the idea seems tempting. But we must examine everything the Bible tells us about the early sacrifices. At the time Moses built this altar, God hadn’t given him the details of the elaborate sacrificial system of the Mosaic Law. Until that point in time, the Bible speaks of 2 types of offerings: 1- “burnt offerings”, and 2- “peace offerings”, and we are given very little detail of how the offerings and sacrifices were made. EXO 24:5 And he sent young men of the children of Israel, which offered burnt offerings, and sacrificed peace offerings of oxen unto the LORD. EXO 24:8 And Moses… said, Behold the blood of the covenant, which the LORD hath made with you concerning all these words. GEN 22:9 And they came to the place which God had told him of; and Abraham built an altar there, and laid the wood in order, and bound Isaac his son, and laid him on the altar upon the wood.10 And Abraham stretched forth his hand, and took the knife to slay his son. LEV 4:7 … and shall pour all the blood of the bullock at the bottom of the altar of the burnt offering, which is at the door of the tabernacle of the congregation. EXO 24:6 …Moses took half of the blood, and put it in basons; and half of the blood he sprinkled on the altar.7 And he took the book of the covenant, and read in the audience of the people: and they said, All that the LORD hath said will we do, and be obedient. 8 And Moses took the blood, and sprinkled it on the people, and said, Behold the blood of the covenant, which the LORD hath made with you concerning all these words. This tells us that at the least, the blood of the bullocks was drained before they were placed on the altar as “peace offerings”. And perhaps the sheep, too, were drained of blood. We simply aren’t told. But the point of this discussion is to ascertain the purpose of the dividing wall down the lengthwise center of the “corral”. If the blood was drained from the animals prior to their being offered, there would be no need to separate the animals in the “corral”. Could there be another reason for the dividing wall? As I have been writing this, I have plastered on the wall in front of me several enlargements of the area at Mt. Sinai. As prepared as I thought I was to finally present all the details of this subject to you, something quite astounding caught my eye last night while I was writing about the altar and “corral”. I had a very large blow-up of the altar in front of me, and as I glanced up, something caught my eye that I had never noticed before- something that I believe provided the answer to the question about the purpose of the “corral”.